We’ve taken a good look at the gaming suites offered by all of our top rated and fully approved mobile casino sites and have put together a list of what we think are the very best mobile slots available at each site. Have a good look through the following games, as you will find out how many of the best mobile casinos work and you may just find your next favorite slot! 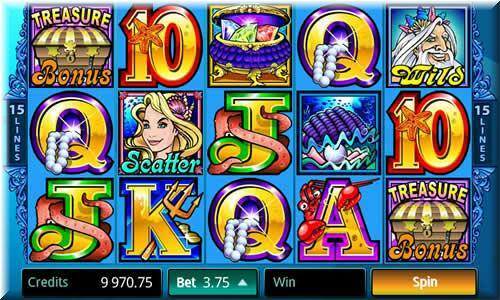 Let us begin by giving you a collection of what we know to be the best Android slot games available. These games can all be accessed and played at most of our reviewed online casinos and are playable via Android at sites such as Jackpot City. 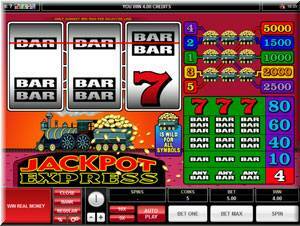 Jackpot Express – This isn’t actually an overly popular mobile slot, and to be perfectly honest we don’t know why. Granted it is rather basic, but basic doesn’t have to mean boring. 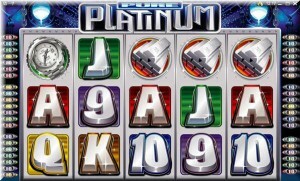 The game has 5 win lines, and is a low to mid variance slot machine, meaning that you’ll spin in plenty of lower wins, making this slot ideal if you’re trying to build up your balance slowly. If you’re ok to play a game that will only reward you rarely, but with higher prizes, then you should choose a higher variance slot. There are 5 jackpot payouts of 1000, 1500, 2000, 2500 and 5000 coins for spinning the Hopper symbols in to play on lines 1, 2, 3, 4 and 5 respectively. Mega Moolah – Part of the progressive series of slots, this is the original Jungle Themed slot. 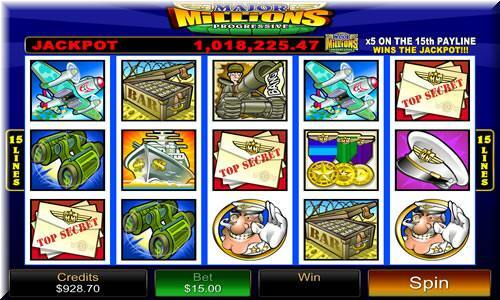 There are 25 paylines spread across the 5 reels, and there is a base game jackpot worth some 15000 coins. 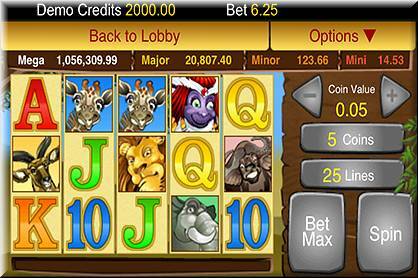 The jackpot will be yours if you spin 5 Wild Lions into play on any of your active paylines. There are scatter payments as well as free spins where all wins are tripled, and should you be a progressive chaser, there is a special, randomly activated bonus round that could see you become an instant millionaire with a simple spin of the reels! Deck the Halls – It doesn’t have to be Christmas to get an early Christmas Present. 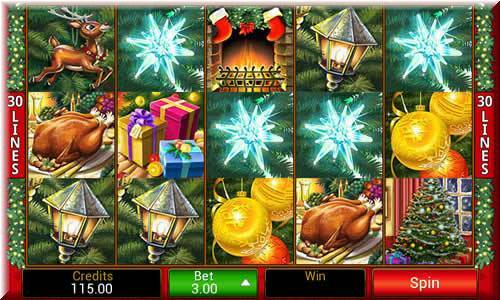 The 30 paylines Deck the Halls slot could just see you getting onto Santa’s good list! There are wilds, stacked symbols and scatter pays in this festive slot, as well as free spins with all wins multiplied by 4! During the Free Spins, the Santa symbols and the Wild Logo Symbols are stacked, giving you the biggest possible chance of hitting the big wins. The jackpot during the base game is won when 5 Logo symbols spin into position on a payline, and this awards 4000 coins, however, in the free games, you’ll be awarded 16000 coins for completing this win! 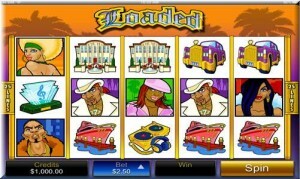 Loaded – This slot is so politically incorrect it’s hilarious. There are quirky reel symbols, scatter symbols in the shape of a microphone, 3 free spins rounds, a Wild Multiplier and a 7000 coin jackpot. The free spins are triggered when 3, 4 or 5 Microphone symbols appear on the reels, and you’ll be given the option of 24 free spins with X2 multiplier, 16 free spins with X3 multiplier, or 12 free spins at x4 multiplier. The triple 7 symbol is your jackpot symbol as well as your wild, and any winning combination completed with this symbol is subject to an x3 multiplier. Spinning 5 of them into play however will award you with that cool 7000 coin jackpot. 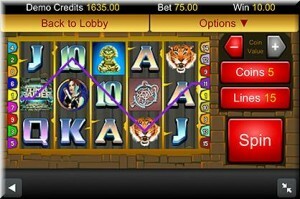 So, if you like a little tongue in cheek, quirky game play, we definitely recommend this pimpin’ slot! You will find several different Blackberry compatible mobile slot games in the gaming suite of the Lucky Nugget Mobile Casino site, so if you fancy any of the following slots and you own a Blackberry device then you now know where to go to play them! 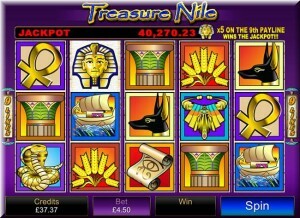 Treasure Nile – If you want to play a progressive slot that doesn’t require you to play a ridiculous number of lines, then be sure to check out Treasure Nile. This simple 9 paylines slot offers no bonuses or free spins however it does offer Scatter symbols which can increase your bankroll with up to 50x your total stake! There are Wild symbols also in the shape of the Pyramids symbols, and these substitute for all symbols on the reels. 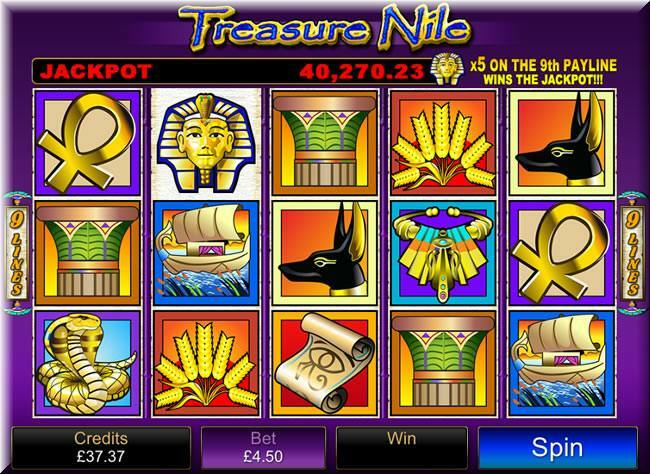 The jackpot is 6000 coins for spinning 5 Mask symbols in to position on lines 1 – 8, however, spin them on to reel 9, and you’ll be awarded the progressive! This progressive can only be won when it’s a straight win (no wilds), and when you place a maximum bet. 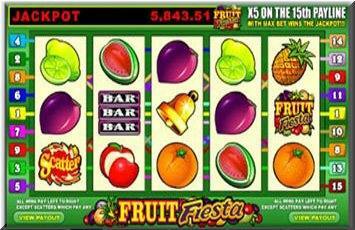 Fruit Fiesta – This fruity little number is one of our favorites, offering just 3 reels and winlines, and some of the best payouts available. 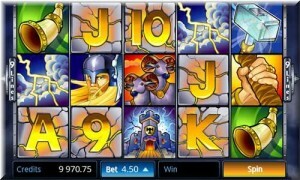 With a progressive jackpot attached to reel 3, you’ll be sure to have hours of fun playing this simple, multi jackpot slot. 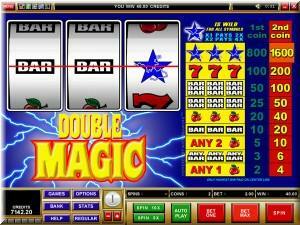 Double Magic – If you want to go back to basics, Double Magic offers you a single win line and 2 coin values. The jackpot symbol is the Star, and 3 of these on your win line will award you with 800 coins and 1600 coins for 1 and 2 coins wagered respectively. 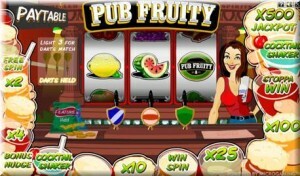 Pub Fruity – If you like fruit machines, then you’ll love this. The game offers all the features of a fruity like nudges and holds, as well as darts match bonus and a trail ladder to award random prizes! 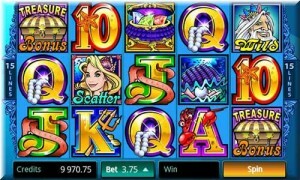 Should you have an iPad then you are of course going to be able to play plenty of slot games at sites such as our top rated River Belle Mobile Casino. One of the following slots offers a huge jackpot which is up for grabs, so if you like progressive slots keep on reading to learn more about this must play mobile slot! 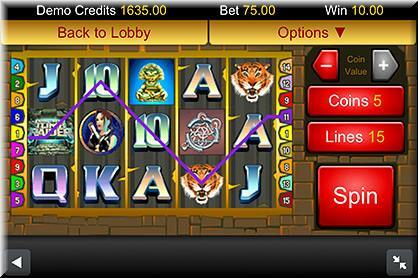 Tomb Raider – This iconic slot is one of the most popular video slots out there. With 15 winlines, a bonus round, free spins and wild symbols this 7500 coin jackpot slot is bound to keep the adventure going! Major Millions – This is the original progressive Major Millions, with 3 reels, 3 winlines and only a hand full of winning combinations, you’ll find Major Millions is a regular payer. There are 3 jackpots, one for each line and these are 25000 coins, 50000 coins and the progressive or lines 1, 2 and 3 respectively. Thunderstruck – The need for adventure is sometimes too much, and that’s where Thunderstruck comes in. 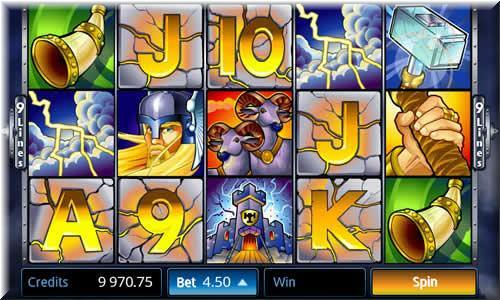 Offering 9 winlines, you’ll find Scatters and free spins, Wild multipliers, a plethora of possible winning combinations, and a massive 10000 coin jackpot should you spin 5 Wild Thor symbols into position of any payline. 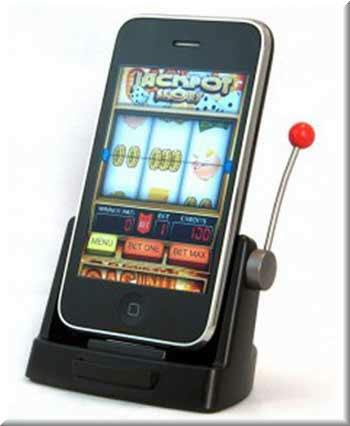 Finally let us give you an overview of two of the high action mobile slot games which you are readily and very easily going to access on any mobile device which has its own web browser, the following slot games all have something unique to offer and each of them, in our opinion are well worth you checking out and playing. 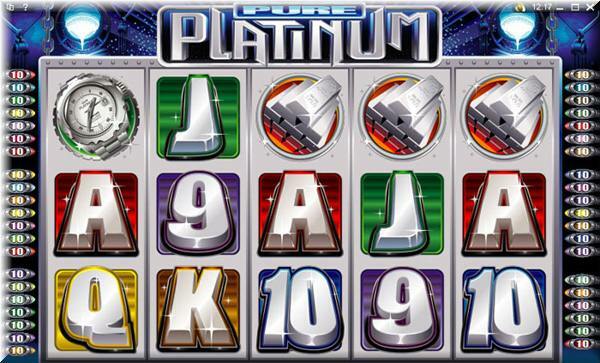 Pure Platinum – You’ll be playing with 50 winlines on the Pure Platinum slot, and you’ll find loads of added extras including stacked wilds, 3 free spins rounds, scatter payments and a massive 1000 coin jackpot. Better still, this game is light enough to simply stream on any device using Java at the back end. 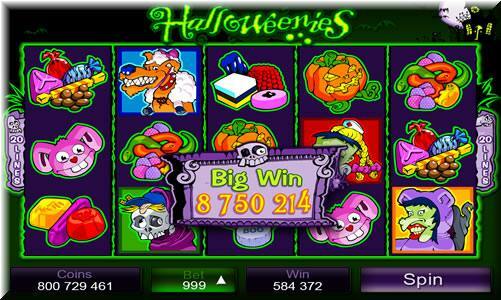 Halloweenies – This is a simple 20 win line slot with some serious feature. There are Wild symbols, a bonus game, free spins, 13000 coins jackpot and an additional pick to win bonus game which quite aptly for a Halloween themed slot sees you picking Pumpkins off the screen!